Gung Hay Fat Choy and Happy Lunar New Year! 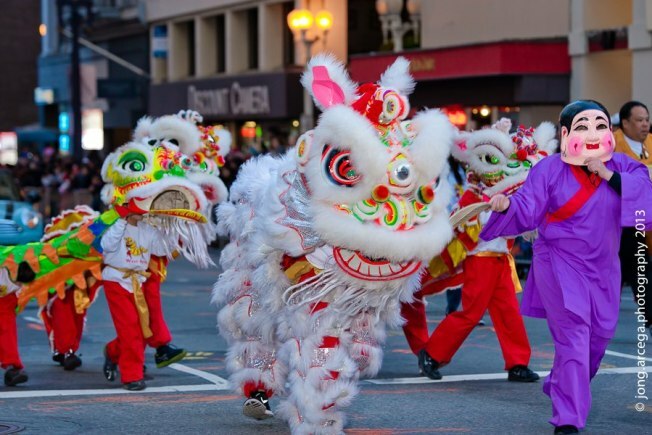 Celebrate Chinese New Year in San Francisco-style with the historically world-renowned Southwest Chinese New Year Festival and Parade. A city tradition that began in the 1860’s, the San Francisco Chinese New Year Festival and Parade has grown to become the largest celebration of Asian culture outside of Asia and is one of the few remaining night illuminated parades in the country. Over 100 units will be participating in this year’s parade with gorgeous floats, elaborate costumes, ferocious lions, and exploding firecrackers. As a tradition of the parade, the newly crowned Miss Chinatown U.S.A. and her court will be making a royal appearance down the streets of San Francisco. A crowd favorite, the 268 foot Golden Dragon also makes his return this year, with a team of over 100 men and women from the White Crane martial arts group to carry the majestic creature through the parade. There are also many festival events you and your family can participate in. From a community fair, to the Chinatown YMCA Run, to a basketball jamboree, there is something for everyone to celebrate Chinese New Year in their own unique way.